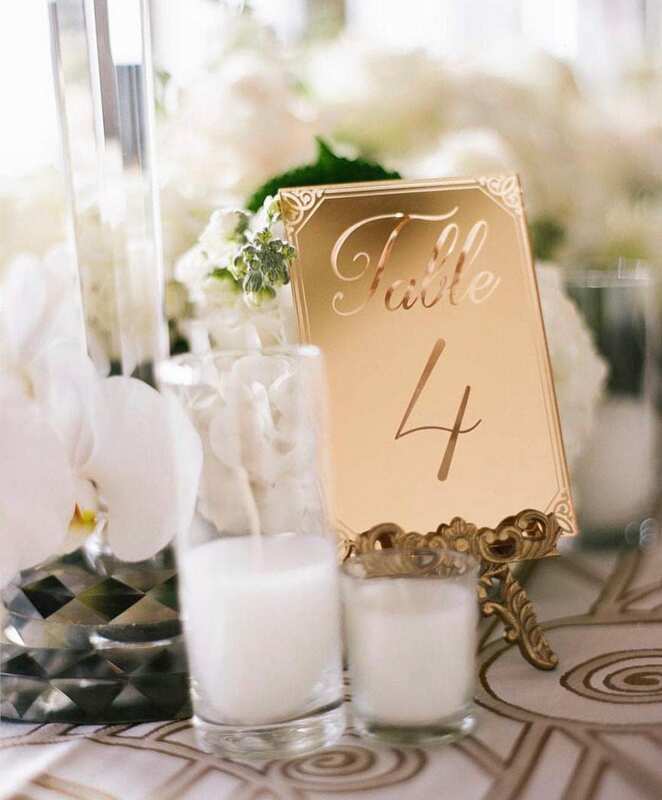 These gorgeous vintage glam inspired laser-cut etched table numbers are absolutely stunning and create a memorable and polished mood for guests and hosts alike. 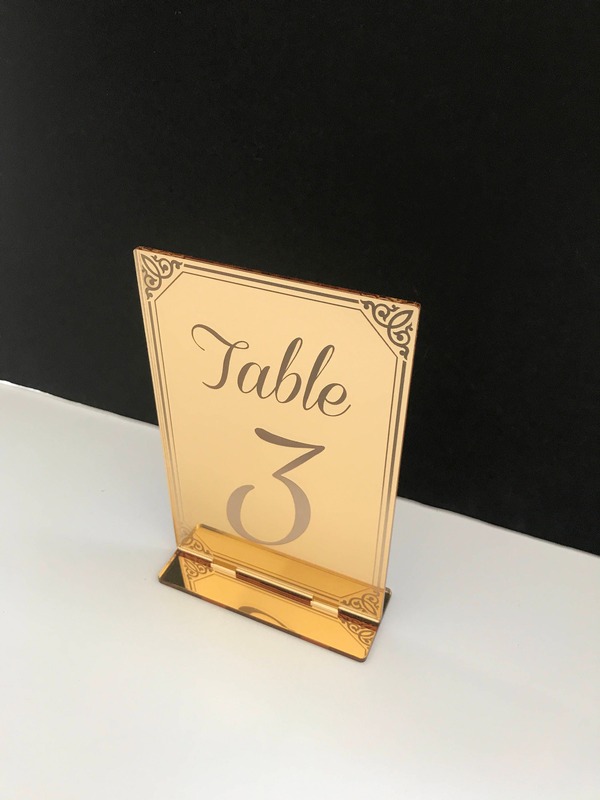 Our custom and personalized laser cut etched acrylic table numbers can be placed along with your table settings to enchant guests, used as table décor, photo props and so much more for a wedding or any special occasion. 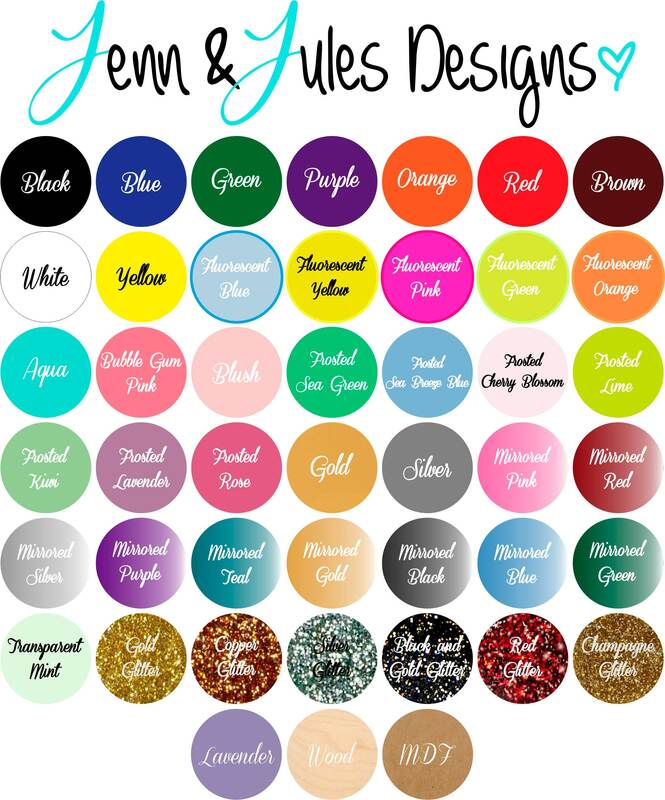 Select color, quantity and add to cart! Custom sizes and designs available, please inquire if interested. 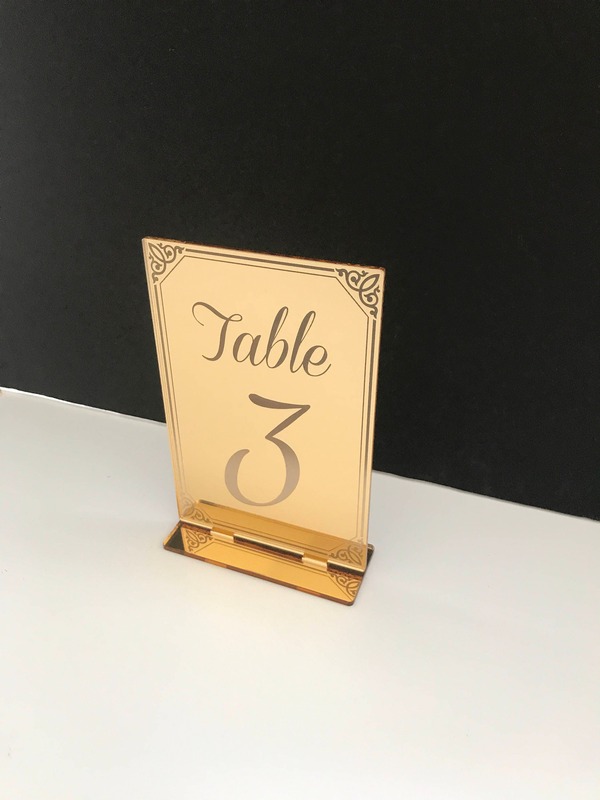 Don’t worry about paint or wood chipping; these long lasting gorgeous acrylic table numbers are made from the best quality and 100% made in USA. We design and make all of our items with our own (American made) machines and hands, no outsourcing here! I absolutely LOVE THIS TABLE NUMBER. It came quick and the buyers answered my questions. Also, they gave me a discount when I ordered the item 2 days prior to it going on sale. Plus, they sent me a personal hand written not thanking me for my purchase. 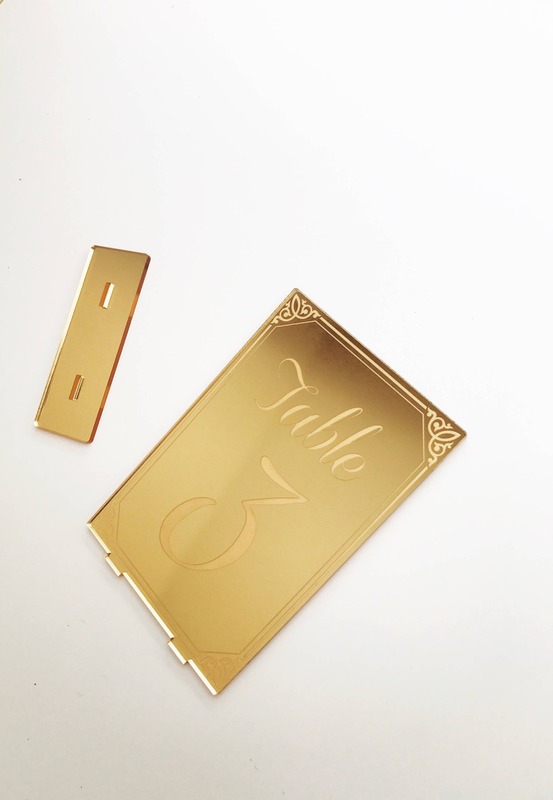 I will order all of my Table Numbers from them for my Wedding!!! !